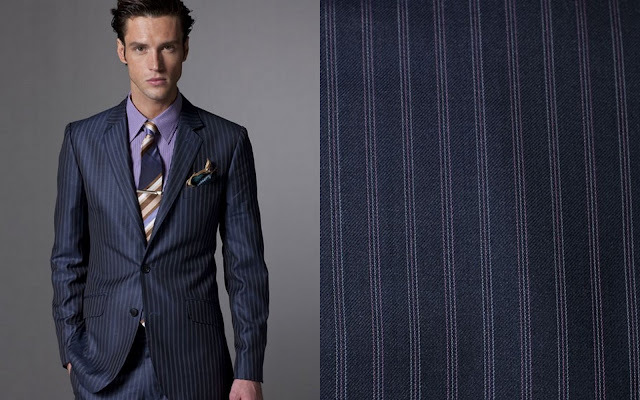 Today Indochino added 4 new pinstripe suits to their non-permanent collection. It's not really a new collection, just some additions. The trend of offering high-quality Chinese fabrics (more about it here in a recent interview with CEO Kyle Vucko) continues and so does the trend of comparably high prices. 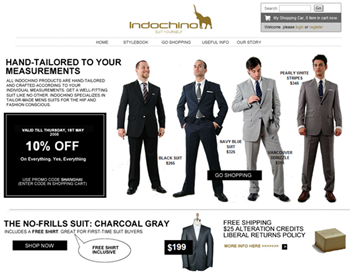 I just recently found an old Indochino ad online - the price for a Charcoal Suit was 199$ including a free shirt - today a suit can cost you 549$. Of course, the 199$ dollar suit was probably a polyester blend while today's suits are either 100% wool or a wool/cashmere, wool/silk blend with a much improved construction quality. The Financial Architect Suit pictured above is probably the boldest addition to the lot - it is basically a silk suit (43% silk, 57% wool), so it has got quite the sheen to it. 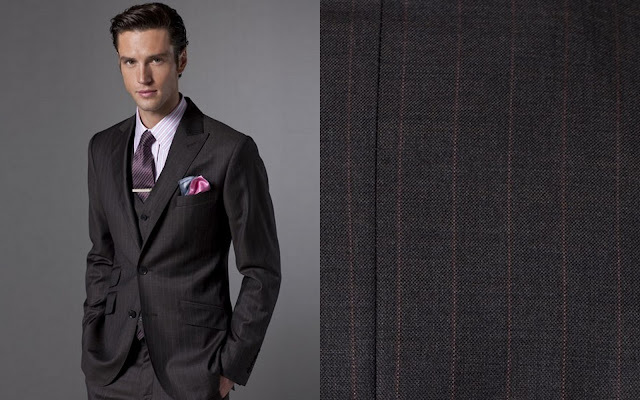 "subtly shiny silk" they call it on the Indochino website. The other 3 suits are all quite nice looking to me, but as I just got a 3-piece suit I'm not overly thrilled by the additions. 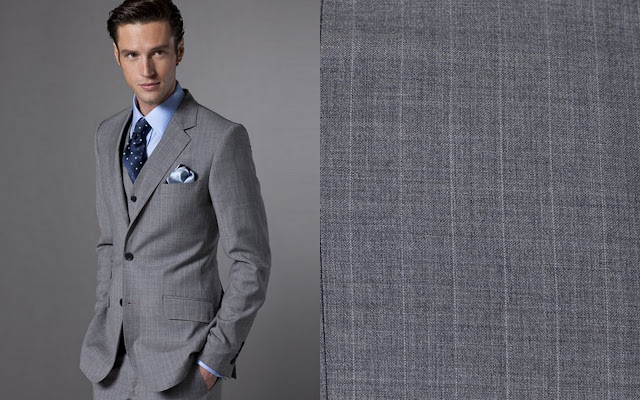 That "Legal Counsel" suit pictured just below would definitely be a good choice if you are looking for a light gray suit and you want a better fabric than the (rather basic) Ultimate Gray suit. Probably we will see a bigger collection in April, last year around it was a special Linen suit collection. I wouldn't mind having another one like that this year, soon the tweed suits will be too heavy for the rising spring temperatures! In other news, I received my Indochino Associate 3-piece suit yesterday and wore it today for work. The fabric is extremely nice, feels like it's very high quality (e.g. compared to the Ultimate Gray Suit, which is still one of my favorites). The suit fits great as usual, the vest will probably need a remake - it's 1-2" too long in the front. By the way, the color of the suit is gray, but it has much more of an orange hue compared to the photos on the website. Also, the buttonholes on my suit are not in black, but in gray. Full review to follow soon! New Indochino March Collection coming up! 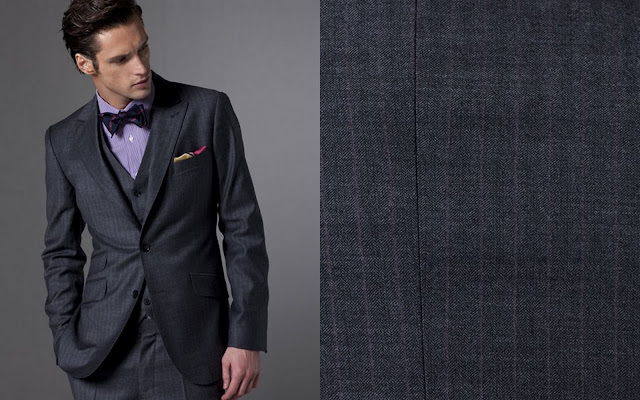 Indochino Evening Collection - would you wear it?